Few paradigms in contemporary music discourse are more fraught than “genre.” For years music journalists have thrown the term around the streets like Tom Brady, soldering regional nuance into ham-fisted -isms. Nowhere has this been more evident than Chicago, where a group of three teens can’t sneeze on the same block without launching hashtags in New York and L.A. Call it the Butterfly Effect. This is not to say that genres don’t exist, or that youth trends aren't shaped by local swag kingpins and their impressionable copycats. The problem is outsiders swooping in and cataloging emergent styles into ironclad genres before their time, freezing the fractious course of youthful creativity into a set of prix fixe gestures. Audiences lap up the initial novelty, then lose interest. It’s like sticking a pin through a still-living insect. Let’s take bop. A few years ago, Chicago teens hit on the brilliant idea of harnessing Keef and Durk’s dark energy for sunnier pastures. 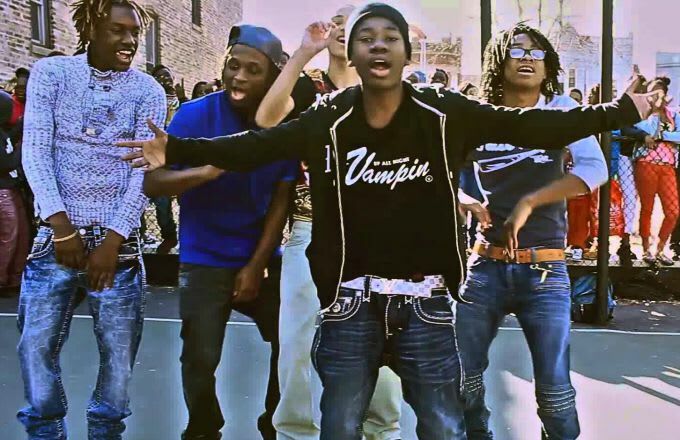 Artists like Sicko Mobb combined drill’s ferocity with the buoyant video-game textures of 2011 street hits like “Gucci Goggles” and “Zan With That Lean.” A few videos went viral, kids freaked out, critics freaked out, and then A&Rs came knocking. Two years later Sicko Mobb have a major label deal, three great mixtapes, an A$AP Ferg co-sign, and a record on the way. Meanwhile, critics and consumers have moved on from the genre tag and affiliated artists, satisfied with another youth movement filed in the cultural Pokedex. Bop gathers dust on the shelf next to jerk and hyphy in the coastal aggregation factories. Except for one thing—kids in Chicago keep making it. A new generation of artists like MBE, Keyani, Heaven, Neil Gang, Team Flee, Ballout Boys, and Cornbread haven’t stopped cranking out melody-soaked heaters. They’re largely unknown outside their city, and they aren’t doing YouTube numbers like the first wave, but they’ve got pop instincts to rival any teenagers in the country. After 2013 the critical spotlight’s glare left as quickly as as it came. In its absence bop continues to flourish, a mushroom in the dark. It’s really less a genre than a lifestyle—the frantic pursuit of ecstasy, cramming fun down the listener’s throat. Some find it hard to swallow. But in a city where kids face endemic violence and opposition from every angle, a little light goes a long way. Bop will continue thriving as long as Chicago forces kids to create joy on their own terms—whether you're paying attention or not. Here's a handful of tracks—all from 2014 and 2015—reflecting the scene’s vitality and variety. Get familiar. Ezra Marcus is a writer living in New York. Follow him @ezra_marc.